Today I'm sharing this Chictags layout with you. 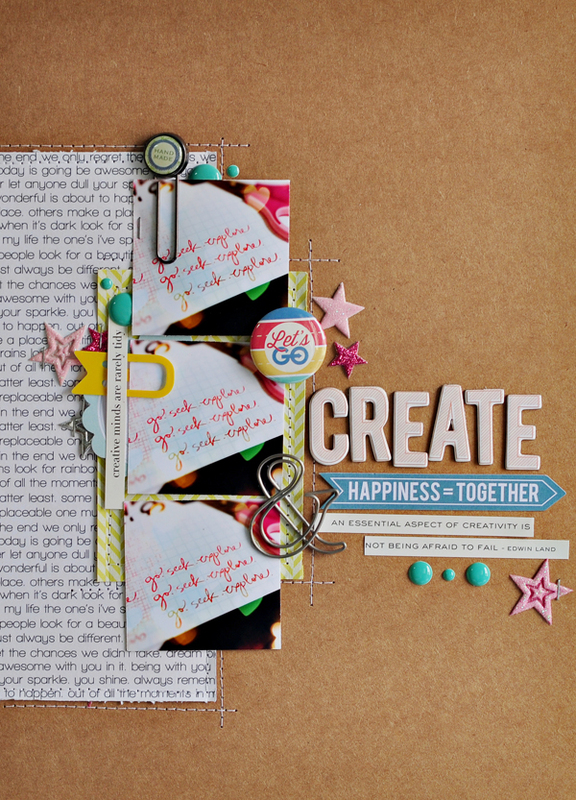 A 'just because' layout to document how creating makes me happy! Don't you just love this hobby? I used the Let's Go flair button on this layout - they're not only for travel pages! Let's go create something! 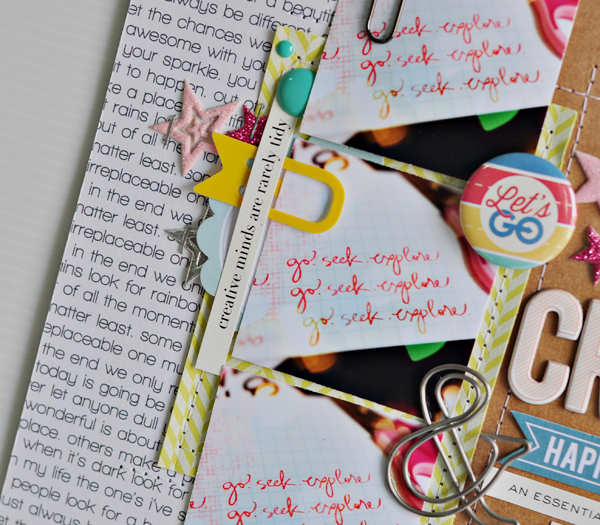 I also added a little tag (happiness = together) from Let's Go Tidbits with Gold Foil pack. Lots of machine stitching here, I really love the texture they added to the layout. I also cut apart some paper clips from Cloud 9 collection and layered them underneath my photos. If you wonder where is my journaling, they're written on the back of the layout. I find that I'm able to write more when I don't have to incorporate my journaling into the design of the page. And also, I hate my handwriting (sad but true), but I still want to include it somehow. So writing on the back of the layout is a good compromise. So take some time to create today if you can! You can tag me on instagram to share your latest project with me. I love love love love love seeing how others be creative! I'll see you soon! I just saw this over on CT and LOVE it!!!! Loving that quote and the stitching!!!!! I love everything about this, sweet Sasha!!! :) Have a great week, my friend! oh my eye candy--GORGEOUS page!